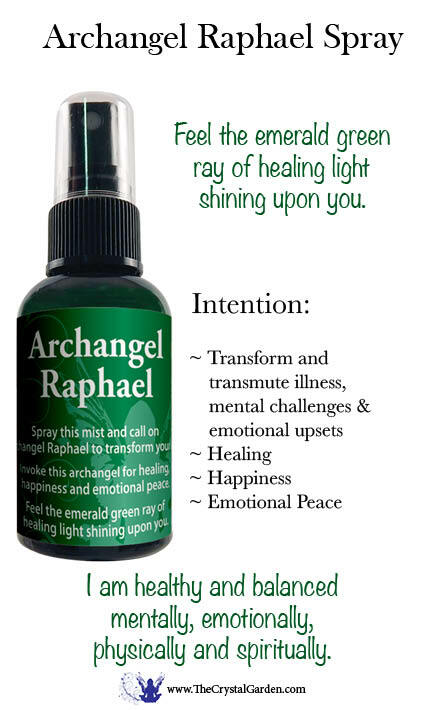 Spray this mist and call on Archangel Raphael to transform your life. 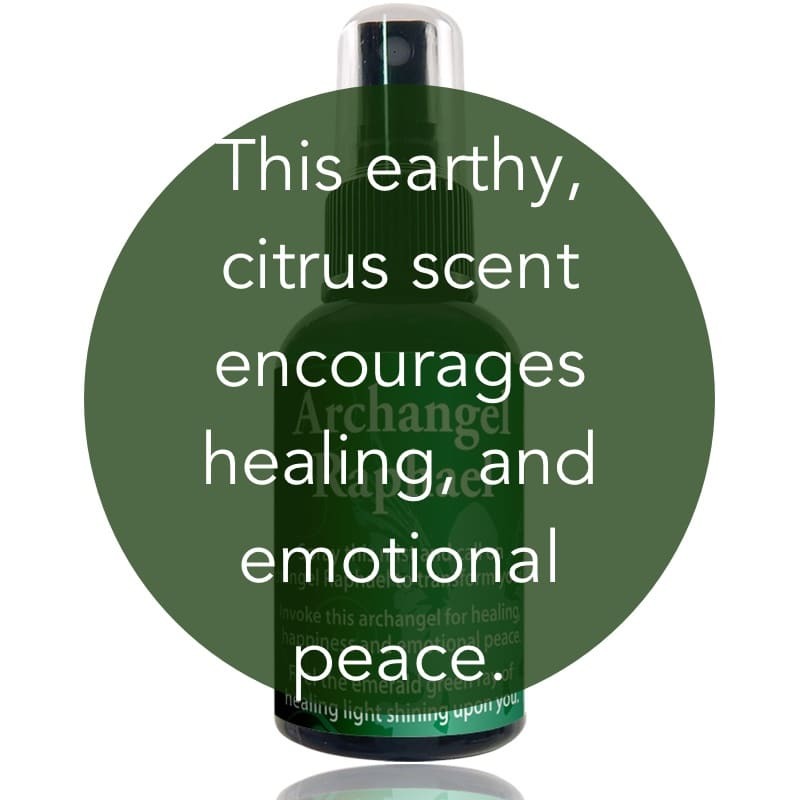 Invoke this archangel for healing, happiness and emotional peace. Feel the emerald green ray of healing light shining upon you. Archangel Raphael Essential Oil Blend is also available neat in a 5 ml bottle. Ingredients: Water; Proprietary Blend of Medical Grade Essential Oils; Holy Waters from around the world; Bach Flower Essences; Gemstone Tinctures; Chantilly. 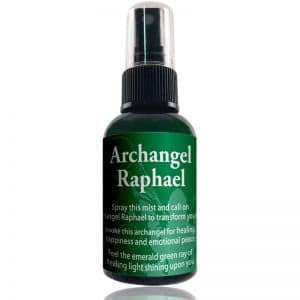 Intention: Use Archangel Raphael to help transform and transmute illness, mental challenges, emotional upsets or anything that prevents happiness. And for healing on all levels. 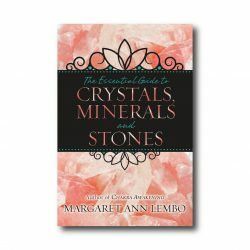 Synergistic proprietary formula received through Divine Inspiration by Margaret Ann Lembo.